Cheung takes home ₩198,100,000 ($174,580) for his APPT Korea Main Event victory. 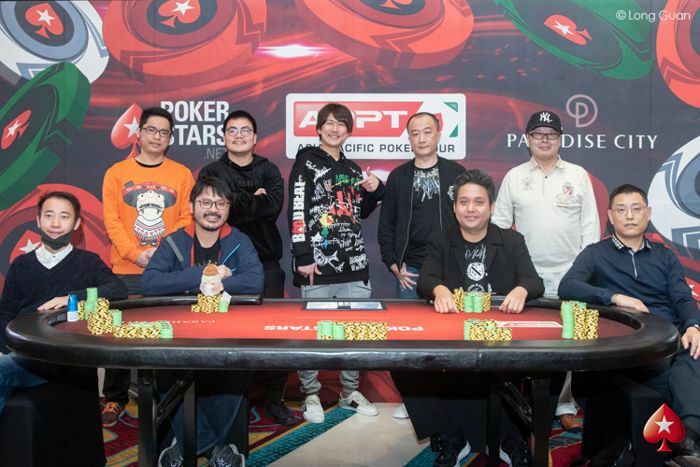 The 2019 PokerStars APPT Korea Main Event had a total of 581 entries gathered at the Paradise City Resort & Casino in Incheon, South Korea. 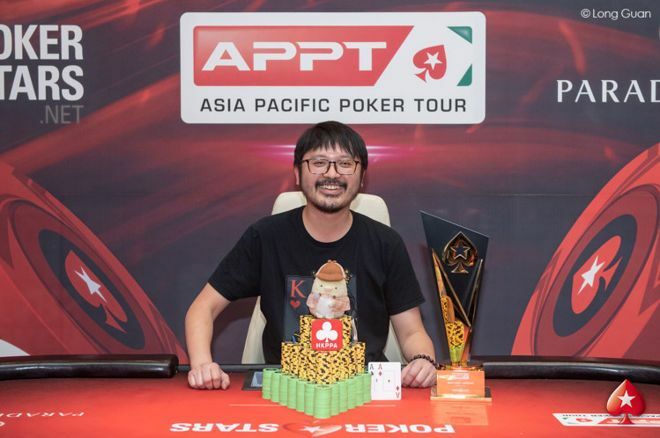 At the start of Day 3, only 12 runners remained, and when the final curtain came down, it was Hong Kong pro Sparrow Cheung taking home the prestigious main event trophy. Cheung broke the world record in 2017 for most cashes in a single year with an absurd 67 and has over $1,500,000 total career earnings. Cheung took home ₩198,100,000 ($174,580) for his finish and added his first APPT Main Event title to his resume. "I was excited just to make the final table because in 2017 I finished in 11th or 12th, I forget which, after running queens into aces and I was so sad, so this time, just getting to the final table I was already very happy." The Hong Kong native took down a respectable competitor in Tomomitsu Ono, and it took just under two hours of heads up play to do so. Ono put up a fight but failed to ever get to level playing ground during the heads-up battle. Ono took home a respectable ₩122,800,000 ($108,221) for his second-place finish. When the final day began, Cheung sat in the bottom half of the field and actually started the final table as the short-stack. Halfway through the first level of the final table, he doubled with rockets against the big slick of Tetsuro Tomita. It was a rollercoaster ride from that point on; he would go from hero to zero and back again multiple times before he took down the title. For Cheung, it meant more than just money, and that showed as he wore his heart on his sleeve during every all in. He came close to a final table in this main event in 2017 and was just happy to get to the final nine. What happened after that was the cherry on top. "And then when he flopped the ace... Oh! I’m ready to leave, and then river... Ten! A one-outer ten, yeah... that’s poker." The crowd gathered behind fan-favorite Cheung throughout the entire final table and shared in every moment with him. The one-outer included against Hung Sheng Lin for a monster chiplead on a fortuitous river. Wenwei Chen was the first to take an exit, losing a race against Xinglong Huang and next to take a leave was Ching Wei Chen. Chen got it in with aces against the queens of Tao Fan but couldn't fade a queen and was sent home. 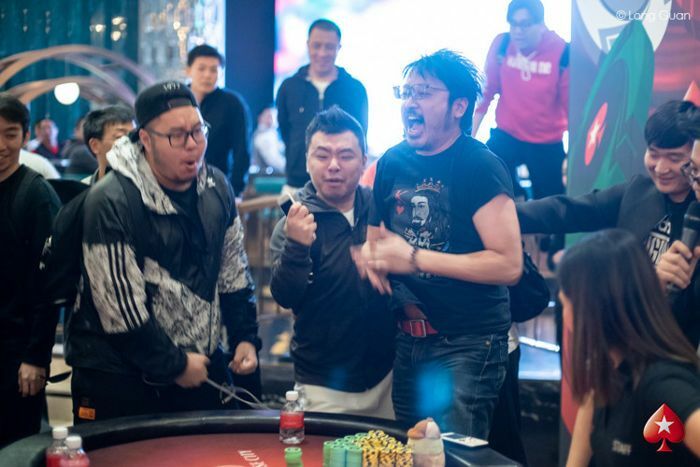 Yinsheng Yang ran his once big stack down to just crumbs before he pushed all in and would run into the monster of Ono, setting up the final table. Huang started on a heater after the final nine combined. He pushed everyone around and seemed to be an unstoppable force. It was Lin that would throw a stick in the wheel of Huang and take all of what he gained throughout the first hour of the final table, in one hand with ace-jack. Huang spiraled out of control and fell victim to Jiang Chen when he pushed all in with a flush draw, failing to hit. The eighth-place finisher was China's Mengdian Peng. After a couple of rounds being on the losing end of hands, he pushed all in and ran into the cowboys of Fan. Just moments later, Huidong Gu moved all in with two paint cards. Cheung called, and the two had a race in which Cheung was the victor. Tomita lost half his stack early at the final table against Cheung's aces and never seemed to recover fully. He withered down to a shorter stack and pushed all in with the dead man's hand. The same person that took the first chunk out of his stack was the same player to send him out the door in sixth place when Cheung called his all in and won with queens. Fifth-place finisher Fan played a solid day of poker. He saw a three-bet from the aggressive Ono and moved all in with his jacks. Ono had the best starting hand in poker and Fan failed to crack aces again as he was sent out. Chen shoved jack-five off from the small blind, only to run into the pocket jacks of Cheung and he took an exit in fourth place. Three-handed play went on for almost two levels before the hand of the tournament happened. Unfortunately for Lin, he was on the losing end of it. Lin called a four-bet all in from Cheung and would be in rough shape with ace-ten against Cheung's pocket tens until the ace high flop peeled off. After four cards were turned, Cheung only had the case ten that could take down the monster pot. The unthinkable happened when he nailed it! Lin was left with crumbs and busted the next level. Heads-up started with a major chiplead for the Hong Kong pro. Both runners had massive crowds behind them cheering after every hand, and the room was full of excitement as a champion was soon to be crowned. Ono fought back as much as he could, but the patience and the perfect amount of aggression from Cheung were too much for the Japanese cash game specialist. Cheung opened, Ono moved all in with ace-three and ran into the bullets of Cheung.